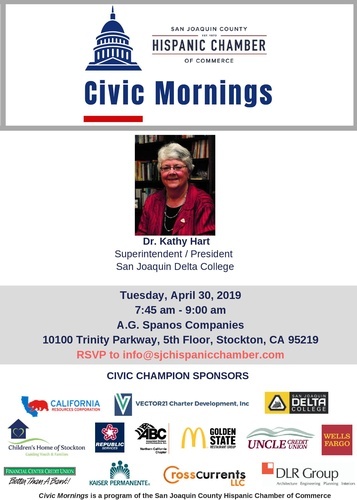 The Civic Mornings series is a morning program that will feature speakers from local government and highlight timely topics important to business and the community. Each month you’ll have a chance to interact with local policy leaders on topics ranging from homelessness, procurement, public safety, and community development. These morning mixers are not only for members, so please bring a friend or even better a future Chamber member!